John Maynard Keynes was the Pied Piper of central bankers and Big Government politicians. 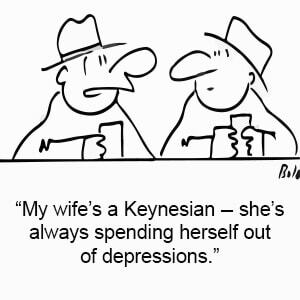 They found his theories (known as Keynesian Economics) irresistible; boost government spending and borrowing to combat economic weakness. It was music to their ears. Now, 70 years after Keynes’ death, officials are still skipping along to his tired old tune. However, after decades of declining real incomes and falling rates of employment, the magic may be starting to fade. The moment of truth is fast approaching for Fed officials who went “all-in” on Keynes’ prescriptions following the 2008 financial crisis. Sometime this year, their convictions may be put to the ultimate test. They will find out whether the recovery they built upon unprecedented stimulus and zero interest rates can endure after those extraordinary measures are withdrawn. If equity prices undergo a major correction or should trouble emerge in the real estate market, Fed officials will face an awkward predicament. Their efforts to date, despite being enormous, will not have borne lasting fruit. Meanwhile public debt has exploded and spending reform is nowhere in sight. Will they renew stimulus or stay the current course on tightening? No one can be certain which way Fed Chair Janet Yellen and the FOMC will go, but this much is true: stimulus is easy, and tightening is a whole lot harder. By August, the Federal debt will once again be near the cap and Congress must decide whether to raise the limit. Kicking the can and increasing borrowing capacity is certainly standard operating procedure, regardless of which party is in control. 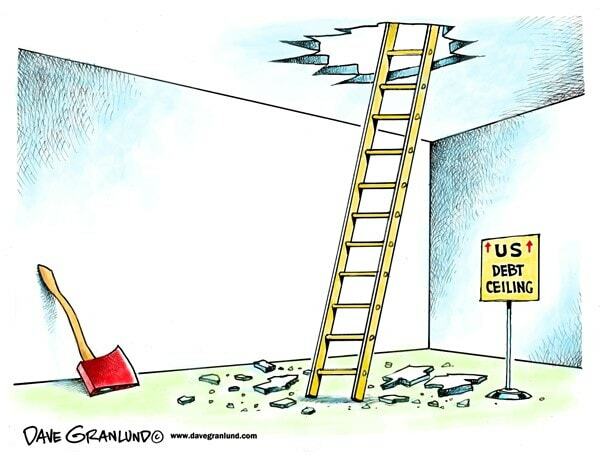 But many Republicans made political hay railing against recent debt ceiling hikes. This time around they are in control of both legislative chambers and will have no one to credit (or blame) but themselves for their actions. The coming year may also try the ability of players in the futures markets to continue pushing the paper prices of precious metals lower despite strong physical supply and demand drivers. Current metal prices are below the cost of production for many producers -- particularly in silver. As a result, supply is forecast to fall in 2015 even if prices rise as expected. Meanwhile, investment and industrial demand are expected to be strong. And inventories of physical bars on the exchanges remain very low. We will be surprised to see the same end result of lower prices if we have another year of heavy physical buying coupled with intense futures contract selling. Finally, bullion investors themselves may be tested more than ever this year. Disinflationary forces currently hold sway with the U.S. dollar getting stronger while commodities, including oil, weaken. Although further declines in gold and silver prices cannot be ruled out, the fundamental reasons to own precious metals are stronger than ever. Lower prices are painful and force investors to question their premises. Unfortunately, human psychology often prods people to sell low and buy high if emotions aren’t held in check.